The first half of 2010 was spent praying and hoping for a baby, which came with one kind of stress, the heart-breaking, waiting kind. The second half of 2010 our prayers were answered and we found out we were expecting our first baby! That came with another kind of stress of preparing for the baby, but it's a much nicer kind of stress. These are some of the highlights of July-December 2010. 1. 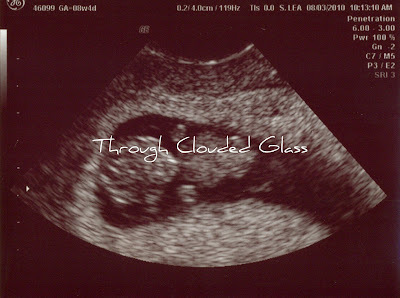 I made a valiant attempt (if I do say so myself) to blog about interesting things, even though all I really wanted to blog about was the baby - but we wanted to wait to announce until after our first appointment. 2. I cut my hair. 3. We celebrated our two year wedding anniversary, and we went out for mini-golfing and pizza and a movie. 4. 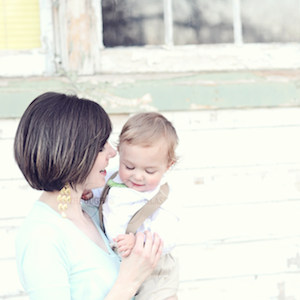 My most severe morning sickness was this month, but it wasn't unbearable. 5. I did a couple guest posts on Anna's blog, Hope Road. 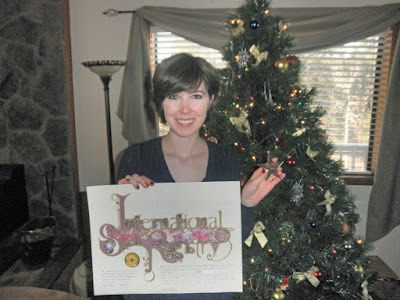 I was really honored that she asked me to guest post on her blog! I wrote about Working Outside the Home, and my desire to be like June Cleaver. 6. Derek got a new job as a treasurer for a town near here! I am so proud of him. 1. We had our first doctor's appointment on August 3rd and got our first glimpse of Babykins! I declared him the cutest baby ever, right there on the spot. 2. We told the rest of our family, and I announced the good news on the blog. 3. I started having a really weird pregnancy symptom in which everything smelled like pickles and Febreeze was my best friend. I also experienced some really bad sciatic nerve pain, and entered the second trimester. 4. We took a trip to the zoo. 5. My sister and I took a trip to visit our friend, Hazel. 6. I got my first speeding ticket. 1. We made more progress on finishing the basement, and I was in the middle of trying to decide on a paint color for our bedroom. 2. I had another ultrasound because of a fluid leakage scare. Everything looked fine though, and Babykins was still measuring big! 3. I thought I made a decision on the paint color. 4. Autumn was seriously slacking in getting here on time. 5. I felt the baby move on September 29th! 1. I felt the baby form the outside on October 7th, Derek felt the baby move a little bit on the 7th and for sure on the 14th, and I saw the baby move from the outside on October 16th! He's been making my belly visibly move ever since then. 2. I changed my mind on the paint color, and I stuck with this one. 3. I went hunting at 21 weeks pregnant. I seriously waddled up the hill - I'm sure it looked very amusing. 4. The washing machine died. 5. We found out our baby is a BOY on October 26th! He was a little difficult at first, but the ultrasound tech was able to see at the very end of the appointment. 6. We had our gender reveal party on October 30th. 1. 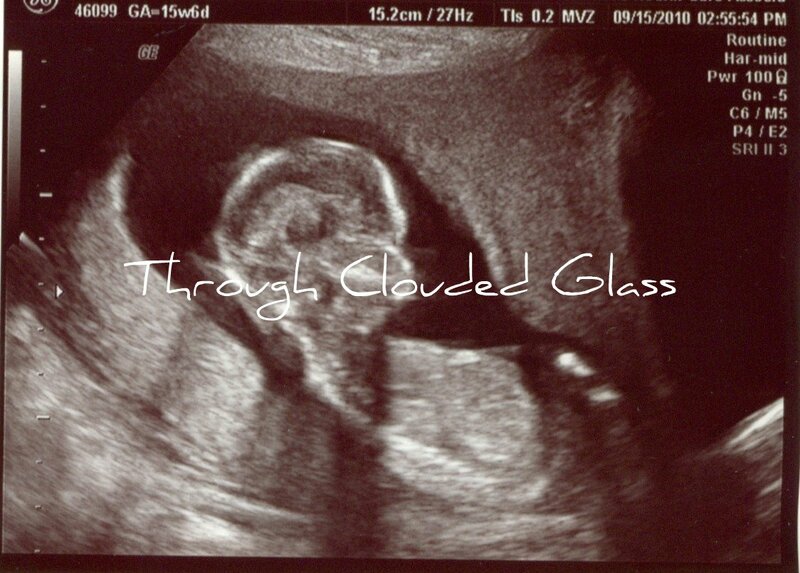 Announced the gender on the blog. 2. Election day! Republicans took back the House. 3. We got carpet in the basement. 4. We celebrated Thanksgiving and decorated for Christmas. 5. We got a great deal on a new washer and dryer on Black Friday! 6. We started thinking about what to name our boy - and what not to name our boy. 1. I realized just how much we have to get done before baby and started going to-do-list crazy. I also registered for the baby. 2. I finally caught all that crazy baby movement on video! 3. I recorded our birth plan. 4. We went to a Trans-Siberian Orchestra concert. 5. I felt the little man have hiccups for the first time on December 22nd. 7. Derek's birthday. Happy Birthday to the perfect man for me! 8. Derek named a star after me. 9. New Year's celebration coming up! And that, my Friends, is the complete 2010 recap! The Lord has brought us through so much this year, and I couldn't be more thankful. I can't wait to see what 2011 has in store! The year of 2010 has been a big year for us - so much has happened! Unlike last year's recap post, in which it was an exciting-but-not-too-stressful-year, this year has had it's fair share of excitement and stress. Because so much has happened this year, I'll have to split up the year into two posts. Here are the highlights of January-June 2010. 1. I had a visit with a fertility doctor to figure out what was wrong with me. He told me my BMI was rather low, and I should try to gain some weight. Begin Operation Weight Gain. 2. The visit with the fertility doctor kind of freaked me out, and Derek and I decided to start trying for a baby. 3. I found my first gray hair. 1. We went on our annual Valentine's Day getaway trip, and we stayed at the Westin! It was a lovely time. 2. Harvey chewed up my earbuds, my good black boots, and many other things. 3. My sister and I started a bowling day on Wednesdays. We had so much fun while it lasted, but alas, the place was sold and the new owner didn't do Free Bowling Wednesdays. 4. I applied for my passport. 1. Derek and I started really working on finishing our basement! Or rather Derek did. I didn't do a whole lot of the work myself, because I don't know how to do that stuff. But I did film the process. 2. We attended our Republican Caucus and were "elected" as delegates to our county assembly. 3. That healthcare bill passed, and I was quite upset about it. 4. We booked our cruise vacation! 5. I was going through alot of mental struggles with not being able to get pregnant. They were mostly kept hidden on the blog at this point, but it did sneak through every now and then. Like it did with that Baby Fever post (even though it was rather light-hearted and funny at that point). 1. We celebrated our Lord's resurrection! He suffered the most horrible death and isolation, but He conquered death and brought us life. The most beautiful day of the year for the Christian. 2. We bought a new car, which we would then sell again a few months later. 3. I tried to grow some plants. 4. One day during a good heart-to-heart with the Lord about my desire for a baby, I felt an assurance from Him that someday I would have one. I was finally able to cast my care upon him (1 Peter 5:7), and I felt much more peaceful about the whole thing after that. 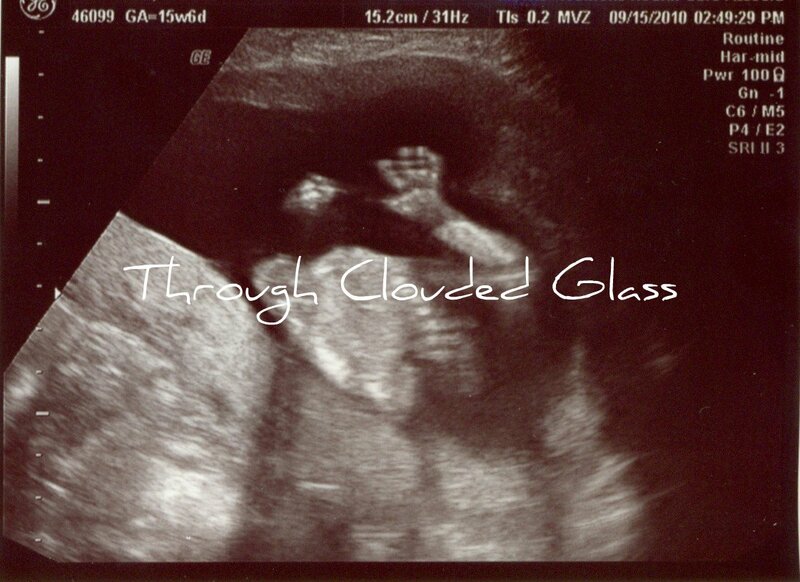 The baby struggle finally made the blog, and I'm glad I blogged about it, because I think sharing your struggles with others is one of the purposes of going through struggles in the first place. 5. Derek and I were delegates at our county's Republican assembly. Basically we got to help decide who would be the Republican candidates on the primary ballot in our county. We wanted to try to get elected to the state assembly, but it coincided with our upcoming vacation, so we didn't. Maybe next time! 1. More fertility struggles started making the blog. End of April/Early May I went back to the fertility doctor. 2. We went on a Caribbean cruise! I did a bunch of recap posts which mentioned pina colada popcorn, pirate tattoos, rainforest excursions, hammocks, and free cruise activities. 3. I met Chloe from Tryin' To Throw My Arms Around The World. 1. Derek and I went sky-diving on a whim. Keep in mind that I had opposed anything and everything to do with sky-diving for years. I don't know what happened. 3. I dropped the ".blogspot. ", and the new blog address was www.throughcloudedglass.com. We went on a hike, and then we went out for a movie and shopping to celebrate. Note: I am actually about 31 weeks pregnant now, but once again I'm late in posting the update. I put the highlights in bold print, for you scanners out there. We're into the 30s, People! Just a little over two months until my due date! The last couple of weeks have been really busy with Christmas preparations, so there's not too much progress to report on baby preparations at the moment. We are still working on refinishing the dresser and painting the changing table, and the nursery is no where near set up yet. I'm just hoping to be done with those two items before my shower on the 9th, and then I can start setting up the nursery after that. The jury is still out on whether to paint the nursery or not. I've still been feeling good - no significant symptoms to report. I woke up and couldn't go back to sleep because I felt uncomfortable one night, but that was an isolated incident. I had a tight feeling across my lower belly when Derek and I were out on our Christmas-light-drive, but I'm not sure if it was just discomfort because of how my pants were sitting, or how the baby was sitting, or a full bladder, or a Braxton-Hicks contraction. I'm not ready to label it a Braxton-Hicks contraction yet, because it's the only time it happened, and I'm still not sure. My sweet boy, on the other hand, has been moving like crazy the past couple weeks, and his movements are getting really distinct. I can actually feel body parts now, and he's big enough to actually change the shape of my belly. Shortly after the last pregnancy update, I was laying on my left side on the couch, and I think he just decided he didn't like sitting on the side of my belly anymore. He pushed himself up into the right side of my belly - it was so cool because you could see the shape of my belly change, and when I touched my belly I could feel his little back right under my skin! It was so cute, and it made me impatient for the day when I can actually hold him. Since then he has been doing similar things almost daily. Yesterday I could feel him stretching, and I reached down to feel my belly - I could feel a little foot or hand right there. It's really funny when I'm just sitting and all of a sudden you can see him stretching and pushing out on different parts of my stomach. My belly has grown quite a bit in the last couple weeks - it's getting harder to feel my ribs, and my whole rib cage is sore on some days because it's expanding. At times the little man will stretch vertically, and push against my ribs, and then I have to sit up really straight so it doesn't hurt. It makes it feel that much more real when I can actually feel his little body through my skin - I can't wait to snuggle him outside my skin in a couple months! We had a doctor's appointment yesterday, and Munchkin's heart rate was nice and strong in the 140s, and the doctor measured my uterus and declared that he's growing very well. He should be at least three pounds by now, and still around 14-16 inches long. I am going to the doctor every two weeks now. I also think I finally felt him have the hiccups! This whole time I've been wondering how women know if their baby is having hiccups, and I looked it up. Apparently they are supposed to feel like rhythmic baby movement for a couple minutes or so. Well, on December 22nd, I was working on the computer and I felt these tiny little movements that came every couple seconds and they lasted for about two minutes. His normal movements are much more random and noticeable, so I think he was having the hiccups! I was very glad to finally feel some, because it's a sign that his lungs are maturing. And here are the 30 Week belly pictures, taken on Christmas morning! On Christmas morning, Derek made us a fabulous Christmas breakfast of scrambled egg, waffles, and decaf coffee - it was delicious! I thought it was so sweet of him to make us Christmas breakfast while I got ready. Of course, I had to take a picture of the tree in all it's glory. We opened gifts: mine included two new decorative items for our now finished basement (I can't wait to hang them up and give you all a tour), a necklace and some earrings, and the new Taylor Swift CD I wanted! I got Derek a new 12 volt drill (because his recently broke), a hat, robe, a comic book (Garfield), and a mini magnetic chess board (because my hubby is really good at chess)! Every year for stocking stuffers we go to a store together and split up to find each other gifts. It's fun to try to avoid each other in the store. This year we went to the dollar store - I think we did pretty well (even though we each got a gift for each other that didn't actually fit in the stocking)! We also enjoyed a bunch of Christmas treats that I made last week: chocolate-cherry cookies, ginger cookies, peppermint bark, two kinds of fudge, and a failed attempt at buckeyes (which Derek still thought were pretty good - he almost has them gone). After we enjoyed our Christmas morning together we went to Derek's mom's house for Christmas dinner. We had a lovely time! We also got some things for Babykins: diapers, wipes, clothes, and a blanket! Derek and I always hide a gift somewhere in the house for each other that we search for on Christmas night, so when we got home we went on our gift-hunt. Christmas night we sat on the couch and drank sparkling cidar next to the Christmas tree. Before we went to bed we read the Christmas story from Matthew and Luke together, to remember the reason why we were celebrating. The day after Christmas we went to my parent's house and had Christmas with my family. I love celebrating again on the day after Christmas - it feels like an extension of Christmas and makes it last longer! We had a fun time, and got some lovely presents from my family as well - including two big things, a gun safe for Derek, and a sewing machine for me! I'm so excited to try it out! It was a wonderful Christmas together, and I think Derek and I made the most of our last Christmas as a family of two! My Christmas actually started on Christmas Eve, when Derek told me to open one of my presents, which was quite an unusual shape. I opened it and then I started crying. Derek named a star after me! Henceforth, a star in the Camelopardalis constellation shall be called "Callie [Our Last Name]". It was such a sweet and romantic gift, and I teared up when I saw it. It came with a beautiful ornament which went directly up on the tree. The rest of the day we spent with last-minute shopping and the candlelight service at our church. That evening Derek and I drove to a more open area and made our first attempt to find my star. My star is in the constellation Camelopardalis, so our first job was to find that. We started out with Orion's belt, since that's a pretty easy landmark to find, but we got a little lost trying to find Triangulum. One of Derek's major interests is astronomy, and he's really good at it - we took one of his books to help us find the star, and I honestly don't know how we'd even get close to finding it without the book. Finally we got a little cold, so we decided to call it a night and come back again for another attempt at finding it. I actually think it will be a fun project to do together, and I'm looking forward to our next night of stargazing! After that we went home, sat by the tree with some sparkling cider (it's one of our traditions), and listened to some Christmas music while we talked. It was probably on of my favorite Christmas Eves ever. P.S. Christmas recap coming soon. Thank you for leaving your heavenly throne and coming to earth as a baby that Christmas Day so long ago, and thank you for living and dying and rising again to save us. We could never deserve what You've done for us. The love and grace You've shown us is indescribable, and it's the most precious Christmas gift of all. I hope You are blessed as we celebrate your birthday today. Merry Christmas, Jesus. Merry Christmas, my Friends! I pray that each of you will find the precious gift of Jesus's sacrifice and always treasure what He has done for you. May the Lord bless each of you and your families, and may you enjoy the goodness of His grace this Christmas season! I'll be taking a blogging break for a few days (aside from a short, pre-scheduled post for tomorrow), like most people will be, I hope, so here are some Christmas posts from years past, just in case anyone stumbles upon the blog during the break. It's important to remember why we celebrate this time of year, and I hope these posts will serve as a reminder. That's why I wrote them in the first place. "Carols Those Kids Used To Sing" - A favorite Christmas song and reflections on the Christmas Spirit. "Little Drummer Boy" Revisited - Thoughts inspired by this classic Christmas song. Guide Us To Thy Perfect Light - Questions and thoughts on the Star of Bethlehem. Greater Than Any Other Gift - Mary, being pregnant at Christmas time, and recognizing the greatest Christmas Gift I have ever recieved. Derek and I are planing on going to the candlelight service at church this afternoon, which I'm really looking forward to. It's a good way to re-focus right before Christmas Day. I also need to pick up one last present for Derek today, and I'm not looking forward to that. The stores will be like a madhouse. Then I have to wrap all of Derek's presents because I still haven't done that! I'm never this far behind on present wrapping, but this year I am. Those are my plans for today, as well as drinking hot chocolate and enjoying a healthy dose of Christmas music! I hope you all have a wonderful Christmas Eve and and a very Merry Christmas tomorrow! Christmas is just three days away! This is a special Christmas to me. This time last year I remember thinking how special it would be to be pregnant at Christmas time. As the day that we celebrate our Savior's birth draws nearer, and as this little boy's movements become more distinct, I find myself wondering about Mary. 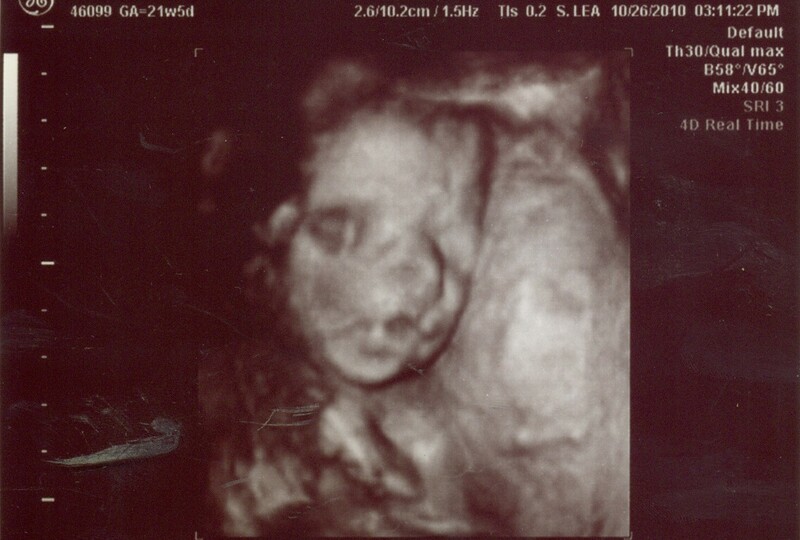 It warms my heart and makes me smile every time I feel my son kick and squirm inside me. How must Mary have felt, knowing that the baby that kicked and squirmed inside her was God Himself? I haven't been through childbirth yet, but I imagine that when I do give birth to our son, Derek and I will both be filled with joy, and overwhelmed at this gift that God has given us. When I think of how Derek and I will feel, I wonder how Mary and Joseph must have felt bringing Jesus into the world, because they knew. They knew Who He really was. As they looked at that newborn baby boy, their emotions must have been even more overwhelming, because they knew He wasn't just a gift to them - He was God's gift to all mankind. It is special to be pregnant at Christmas time - because every time I look down at my ever-growing belly and think of my son, I also think about another girl, in another time, who must of looked down at her belly the same way and thought about her Son - God Incarnate, our Savior, Jesus Christ. And I think about what He endured to save her, and me, and any person who puts their trust in Him. His sacrifice is the greatest Christmas present of all time. No other gift could compare. Such a gift calls for no less than a life devoted to Him. So as my boy presses against my belly and makes me smile again, I pray for help to serve Jesus better, and I pray for my son to grow up to serve and know Him as well. Because that is what life is all about. Look at what my sweet hubby surprised me with yesterday! I've never seen a vase shaped like a swan before - it's so pretty. P.S. As s sidenote, you can totally see my outie in that picture of Derek and me. For Christmas I'd Like . . .